The Oreck Magnesium LW100 glides over plush/soft carpeting, and lays flat to vacuum under furniture and beds. Best Rated Soft Carpet Vacuum Cleaners – This is a roundup of the best rated vacuums for soft style plush carpet. Soft & Plush carpets have ultra dense piles to give them that soft feel. Vacuuming Soft plush carpeting is an extreme challenge for many traditional vacuums, that can get stuck on the carpets, and be very hard to move. The ultra-soft carpet vacuums below have been recommended by soft Carpet Manufacturers such as Mohawk, for soft carpeting such as SmartStrand Silk, Caress®, Karastan, Resista®, Soft Spring, and Stainmaster TruSoft®. 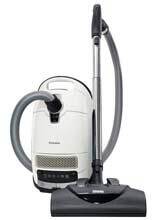 Soniclean has developed an upright vacuum cleaner with Shaw Industries specifically for soft plush carpets, the Soniclean SFC-7000, with movable vents and large wheels to glide over soft carpeting. 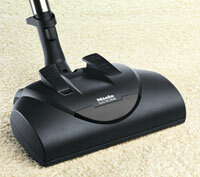 Select Oreck and Miele vacuums have also been recommended by manufacturers for soft dense ulta plush carpets. Smart-Review limits the selection to only those vacuums suitable for plush soft carpeting with the highest consumer reviews. 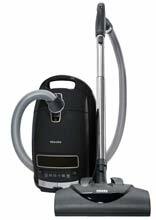 Below are the top rated upright & canister vacuums available for soft carpeting, listed with top features, and reviews. 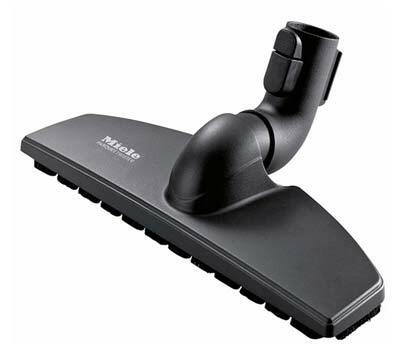 Miele SEB228 Powerbrush: The SEB228 Powerbrush is an electrically driven, motorized power brush that is compatible with any Miele canister with an electric hose. This is one of the most recommended accessories by leading carpet manufacturers of soft plush carpets. Consumer reviews are excellent, and the design is just perfect for those with soft plush carpets. This powerbrush is also excellent on any other type of carpet, as well as hard floors. This powerbrush comes standard with the Miele C3 Cat & Dog Canister Pet Vacuum, the C3 Kona Canister Vacuum, the C2 Compact Electro+ Canister, the , and the C3 Soft Carpet Canister Vacuum. Soft & Plush Style Carpeting Challenges = Soft plush and ultra plush carpeting presents a unique problem when vacuuming. Because soft plush carpets are super dense, the vacuum suction locks onto the carpet, making it hard to move the vacuum. Heavier vacuums make this worse by sinking in further. 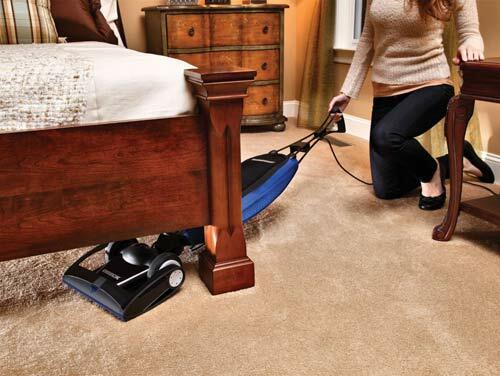 Soft carpet vacuums can solve this by having larger wheels, lighter weight, better venting so suction does not lock on carpet, and manual height adjustment for thick pile carpet. The higher density of soft carpets like Mohawk SmartStrand Silk, contain up to three times more fibers than regular carpeting. Manufacturer Recommended Vacuums for Soft Plush Carpeting = All of the vacuums presented by Smart-Review on this page have been recommended by manufacturers of soft and ultra-soft carpeting. These vacuums can be used on soft, plush, high pile, medium and low pile carpets, as well as hard floors. They are not limited to being used only on soft carpeting. Popular brands of soft high pile carpeting include: Mohawk SmartStrand Silk, Anso® Caress (Shaw Industries), Karastan, Resista® (Shaw), Stainmaster Trusoft, Tigressa® SoftStyle (Shaw), Tigressa® H2O™, and Soft Spring. Larger Wheels = Vacuums with larger wheels are better able to maneuver over denser, thicker soft plush carpeting, and not get bogged down. Lightweight Vacuum = Heavier vacuums sink into soft, plush carpet, making the suction seal tighter, and making it hard to move the vacuum. Lightweight vacuums can glide over this type of carpeting. Almost all the recommended vacuums are lightweight for this reason. 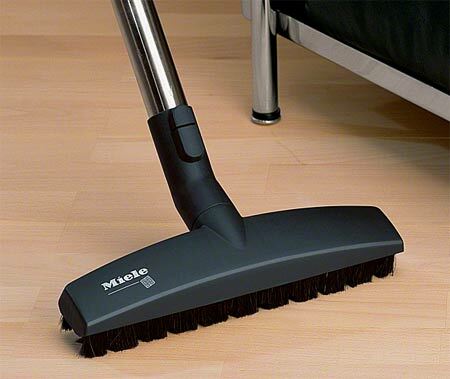 Miele SEB228 Powerbrush = In canister vacuums, Miele has several vacuums that use the SEB228 Motorized floor tool. This is a carpet manufacturer recommended tool for soft/plush carpets. Available on the Miele C3 Cat & Dog Canister Vac, the Miele C3 Soft Carpet Canister Vac, the Miele C2 Compact Electro+ Canister, and the Miele C3 Complete Kona Canister Vacuums. All Miele canisters allow you to adjust suction power (6 settings). Thick loop, Casual Frieze or Long Pile Carpet = To prevent damage to these types of carpeting, you may need to completely disengage the beater bar and use suction only. Saniseal System = Automatically seals the bag shut, which will lock the dirt into the disposable filter bag, so no dust escapes when changing bags. Oreck’s Magnesium Frame = Some higher end Oreck Magnesium vacuums use magnesium metal for the frame of the vacuum which is lighter and stronger than many types of steel. The Oreck LW1500RS weighs only 7.7 lbs., and is one of the most recommended vacuums for soft/plush carpeting by leading carpet manufacturers such as Shaw and Mohawk. Annual Tuneups = On Orecks higher end vacuums, they offer free annual tuneups at Oreck stores. Two Speeds = Some vacuums have two speeds. The lower speed can be used on more delicate oriental and other area rugs, as well as hard floors. 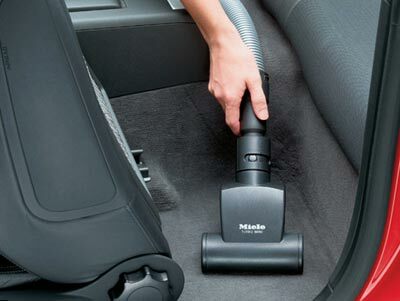 LED Headlights = Vacuums with LED headlights allow you to see dirt and dust and under furniture as you vacuum. HEPA Bag = A HEPA Bag is the best type of dirt filtration on a vacuum. This will remove the smallest particles of dirt, dust, and pet hair so that you don’t breathe in what you are vacuuming. This is especially important for those with allergies. Certified Gold CRI = The Soniclean SFC-7000 and the Oreck Magnesium LW1500RS upright vacuums has been certified as GOLD by The Carpet and Rug Institute and is ideal for soft carpeting. Soniclean Sonic Technology = Vibrates at 12,000 times/minute to loosen dirt and dust from your ultrasoft or plush carpet. Soniclean SFC-7000 = The Soniclean SFC-7000 was specifically designed to be used on soft style plush carpets, such as Mohawk SmartStrand Silk, Caress (Shaw Industries), Tigressa® SoftStyle, Karastan, Resista®, STAINMASTER® TruSoft®, and Soft Spring. 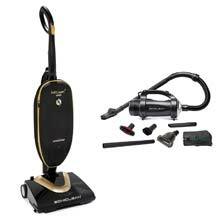 This vacuum can also be used for regular carpeting and hard floors. The carpet manufacturer Mohawk recommends the Sonicare SFC-7000 for soft carpeting. Jam Protection = Turns off the vacuum if a Jam is detected.